The thoughts of migrating to the Cloud can be flippant or daunting depending on where you sit on the optimist/pessimist scale. In reality, this is a matter of proportion to your environment. In this week’s post, I’m talking specifically about Infrastructure-as-a-Service Cloud — rather than having a physical presence, your goal is to move to the cloud, so you don’t have to care for that hardware stuff. My recommendation on where to begin is to ask the question: How would I migrate somewhere else? It starts by – what services do I move 1st? When I worked at UC Irvine‘s School of Humanities in the early 90s, we had to move into a new building and the finance staff needed to move 1st since they didn’t want to get caught with closing the books at the very time we had to evacuate the old modular building. So, a server had to go over there to provide the Netware routing that we were doing between a classroom network and the office network (it was summer, so I didn’t have to worry about student congestion on the network – though the empty classroom I put the server in was victim of the painters unplugging it). After the office staff could move, then I could bring the office Netware server over one evening. The important part of this story is that I needed networking to handle the people 1st. Another move that I performed was similar. I had to move servers from downtown Denver to a new data center in south Denver. The users of those machines couldn’t deal with the network latency as our route went from downtown Denver to Massachusetts to south Denver. Those users had to move, then they had to get new AD (Microsoft Active Directory) credentials and new security tokens. So, the important part here is that the users needed an authentication infrastructure 1st. While moving some servers from Denver to Aurora, into a new facility for us – we again were concerned about latency, so we needed to have authentication and name services also stood up in Aurora, so that authentication wouldn’t have to cross the WAN. My point from these anecdotes is it is not just as simple as moving one OS instance. There are dependencies. Typically, those dependencies are infrastructure dependencies, and they typically exist so that latency can be avoided. [I haven’t defined network latency — but, for those who need an example — think of TV interviews that occur when the anchor is in New York and the reporter is in the middle east. The anchor asks a question and the reporter has to wait for all the audio to get to him while the viewer sees a pause in conversation. That is network latency. The amount of time it takes to travel the “wire”]. Back to dependencies – I may need DNS (domain name service) at the new site, so that every time I look up itbycrayon.com, I don’t have to have the server talk back to my local network to get that information. I may need authentication services (e.g AD). I may need a network route outbound. I may need a database server. Now, these start to add up. In my experience, there is a 1st wave – infrastructure services. Then there is a 2nd wave – actual systems used by users. 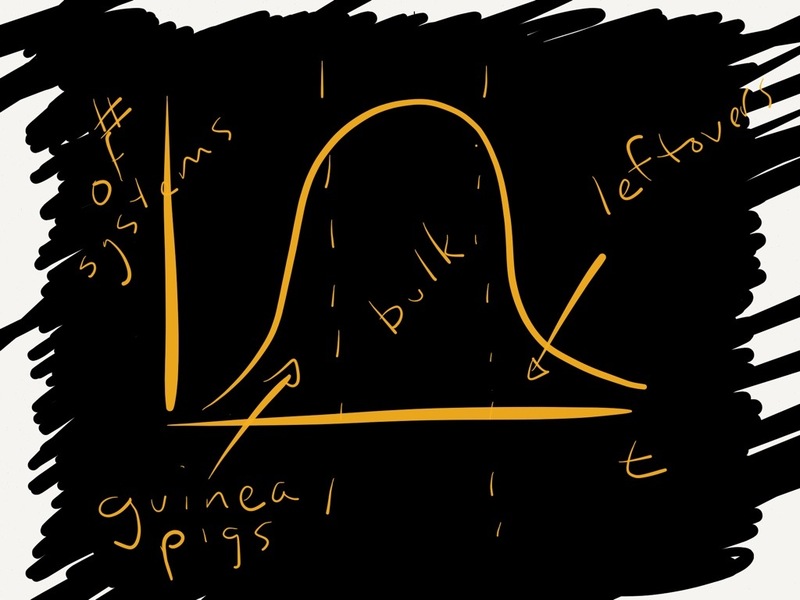 Typically, these are some guinea pigs which can endure the kinks being smoothed out. Eventually, there are a bunch of systems that are all interrelated. This wave ends up being quite an undertaking, as this bulk of systems takes time to move and users are going to want minimal downtime. Then after the final user wave, the final clean-up occurs – decommissioning the old infrastructure servers. What I’ve presented is more about how to do a migration than a migration into the cloud. For the cloud, there may be additional steps depending on your provider – maybe you have to convert VMware VMs using OVFtool and then import. VM portability eases the task. The underlying hardware tends to be irrelevant – as opposed to moving physical servers where there may be different driver stacks, different devices, etc. Obviously, one has to be cognizant of compatibility. If one is running IBM AIX, then one must find a cloud provider that supports this. My point is that it is still a migration of how to get from A to B, and high level requirements remain the same (How is my data going to move – over the wire or by truck? What can I live with? What systems depend on what other systems?). The big difference between an IaaS Cloud migration and a physical migration is that servers aren’t moving from site A to site B – so there isn’t the “swing gear” conversation or the “physical move” conversation. This is a migration of landing on pre-staged gear. The destination is ready. Figure out the transport requirements of your destination cloud and get going! Migration implies change and change implies risk. So, what are the hurdles that the decision maker has to make before committing to a migration to the cloud? First, what type of migration is it? 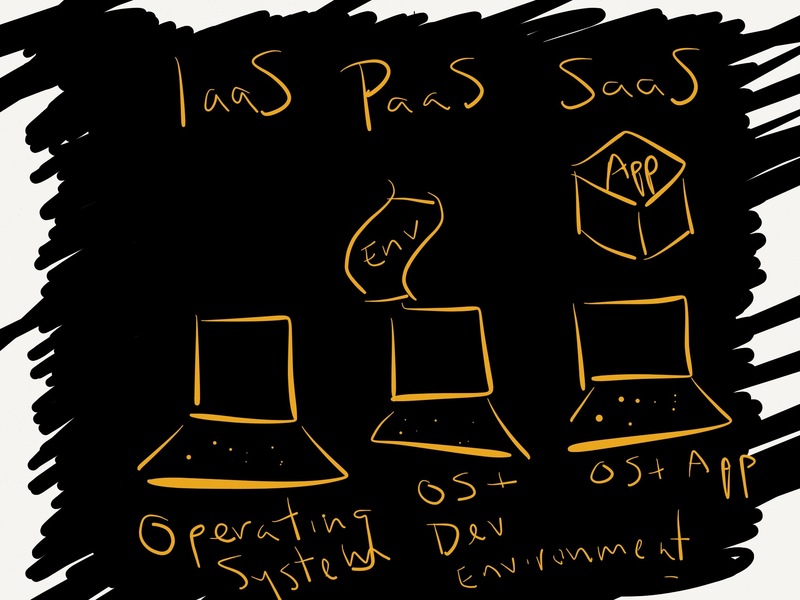 Is it a migration to Infrastructure as a Service (IaaS), Platform as a Service (PaaS), or Software as a Service (SaaS) … or any of the other “fill in the blank as a Service” (XaaS)? 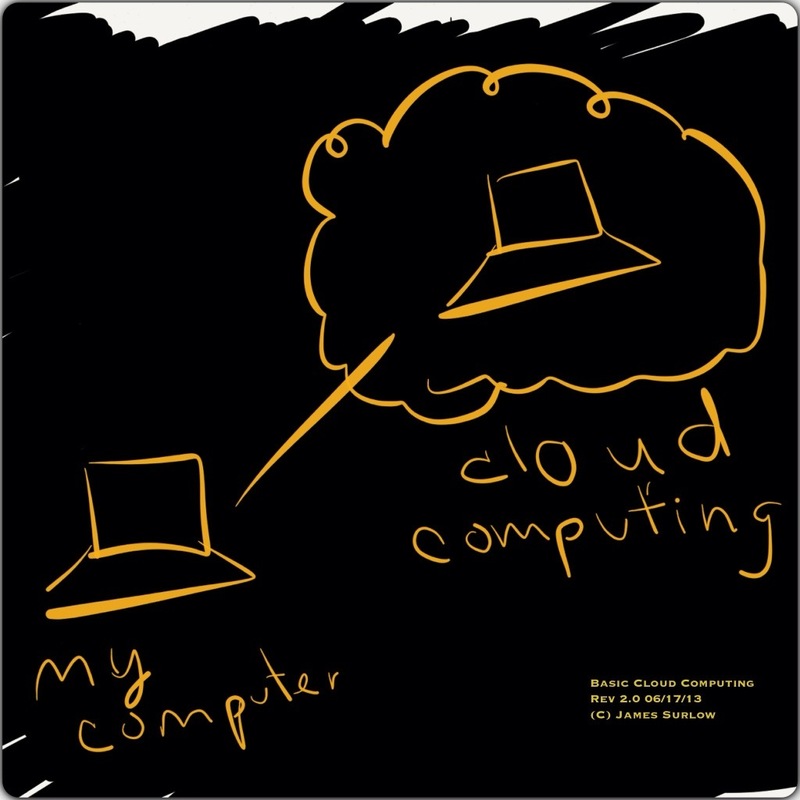 Wikipedia can provide sufficient definitions for IaaS, PaaS, and SaaS, but just to quickly provide examples: IaaS allows one to hotel their computing environment – e.g. run Microsoft Server on someone else’s gear by renting it out. 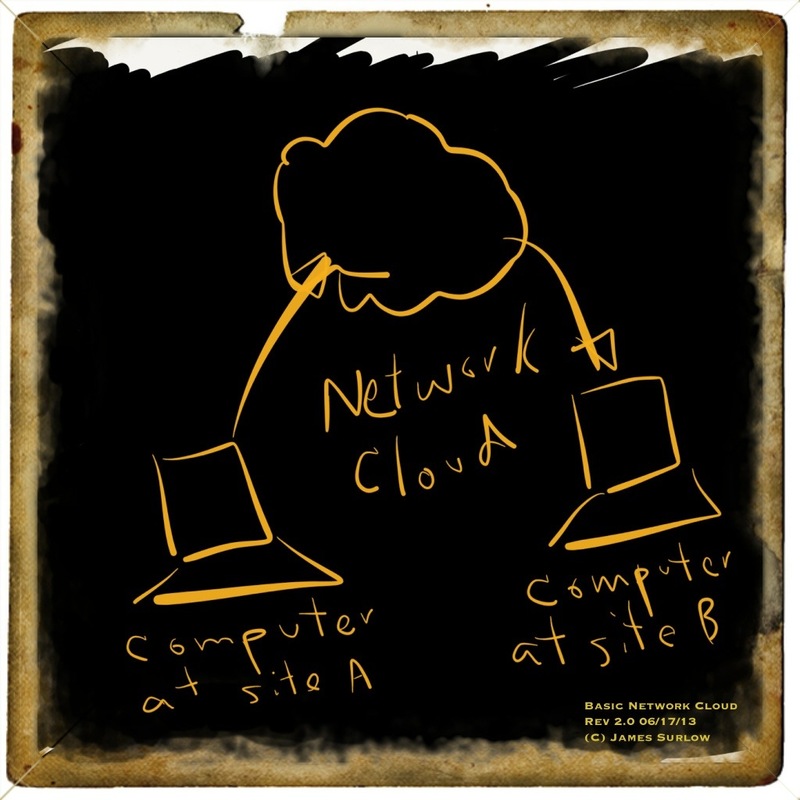 PaaS allows for a development environment to produce software on someone else’s gear and use their software development tools. SaaS allows one to run a specific software app on someone else’s environment — “webmail” being SaaS before there was a term for it. Now, it could be online learning, Salesforce.com, etc. Second, what are the risks? In exchange for Capital Expenses and some Operational Expenses, one gets Operational Expenses. This also means that some control is turned over to the service. When I lose power to my house, since I haven’t built my own power plant, I’m at the mercy of the utility company. Power comes back when it comes back. I can’t re-prioritize tasks that the power company has set (e.g. bring my neighborhood back before the other neighborhood). Depending on the SLAs – Service Level Agreements – uptime, performance, etc. is where the expectation is set. As systems become more complex, firms struggle with: “how is the expertise maintained?” Acquisition cost of gear is about 1/3 the total cost of gear. There is maintenance and then the administration. Unless one runs a tech company, the tech administration is not the company’s core competency. So, why would a company want to run that in their business? This is the classic buy v. build decision. Of course, with IT, the problem is that after one builds, they still have to administer. And, after one buys, they still have to handle the vendor relations. In addition to vendor relations, one has the concern about vendor longevity. Is the vendor going to be there for as long as your company needs it to be? What happens when the vendor goes out of business or ends the line of business? Of course, on the build side, what happens when the expert you hired, finds a new job or you wish to promote him to an alternate position? Non-profits have alternate problems where funds may not be regular and OpEx costs infinitum might not be serviceable. But, hardware/software maintenance costs and training fall in the same boat. A third consideration is security. How secure is your data in the cloud? Returning to the SaaS e-mail, it is fair to assume given recent revelations that the NSA is mining your e-mail off Gmail, yahoo mail, Hotmail, and others just to name a few. One would hope that the systems are secure from hackers and this info is only leaking to the government lawfully. But, if you are concerned about hackers, how secure is your data in-house? So, there is a cost consideration for the build solution and there is a trust consideration given one’s provider. The build v. buy decision is admittedly harder with technology given the high rate of change. This is especially true as it ties to security. Feature implementation is based upon service provider timetables and evaluation of risk. All this again returns to priorities and that in the build solution, one gets to make their own calls and evaluations. In summary, one can select at what level they wish to move to the cloud. One needs to be concerned about the build v. buy decisions, but the cloud move could allow for granular cloud moves (we put this out there, we don’t put that). Security, Vendor Longevity, Vendor Relations, etc. are big factors. Time & Labor needs to be accounted for, doing it in-house or working to out-source. And, of course, there is the decisions about CapEx & OpEx.